Shields | Mott LLP attorneys co-present “AIA Contract Documents” Seminar, HalfMoon Education, Inc.
On April 20, 2018 Shields | Mott LLP attorneys co-presented a HalfMoon seminar for “AIA Contract Documents”. The topics included: Examining contract terminology, Primary AIA contract documents, Supplemental or Alternate AIA contract documents, and a Case Study review of a sample project. Andrew’s primary practice areas include all phases of intellectual property including litigation, prosecution, and transactional matters. He handles all aspects of patent, trademark, and copyright litigation; and prosecution of U.S. patent applications, trademark applications, and registration of copyrights with the United States Copyright Office. He handles the drafting and negotiation of intellectual property agreements, such as licensing issues, contracts, non-disclosure and confidentiality agreements. 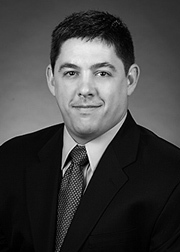 Andrew also practices in commercial litigation and construction litigation, including claims related to construction defects, payment, subcontractors, owners, and general contractors. Adrian’s primary practice areas include commercial litigation, construction litigation and surety litigation. He is a LEED Green Associate and has presented numerous lectures on green building. Additionally, Adrian crafts and reviews construction contracts so that clients are protected on the front end of projects. 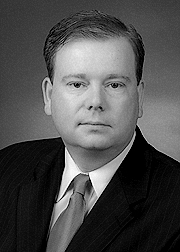 He litigates construction and surety matters in federal and state courts, and in arbitrations. 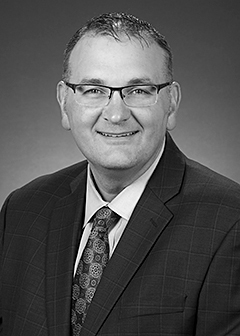 Michael’s practice focuses primarily on the areas of construction litigation, surety law, commercial industry contracts and litigation, insurance defense, property litigation, and complex civil litigation. He was also the managing print editor for the Loyola Law Review, a brief writer and oralist for the Jerome Prince Memorial Evidence Moot Court Team, and a William L. Crowe, Sr. scholar.